Top engineering ace heading to South Korea. Not everyone is familiar with the people behind some of today’s most popular cars. They include the executives who sometimes take a risk by approving a niche vehicle, and the designers and engineers who execute them. 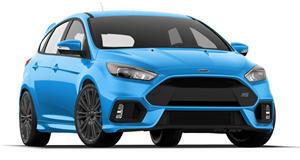 One engineer is Tyrone Johnson, Ford’s now former Focus RS chief engineer. 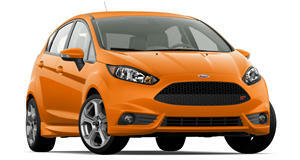 He was also responsible for the Fiesta ST’s wonderful driving characteristics. But now, according to Autocar, Johnson has a new employer: Hyundai. Johnson has made the move to the South Korean automaker to serve as Albert Biermann’s replacement as head of vehicle integration. If you recall, Biermann, who led BMW M for decades before being poached by Hyundai a few years ago, has been promoted to lead Hyundai’s global head of R&D. The combined engineering expertise of Biermann and Johnson will surely have numerous benefits for driving enthusiasts and non-enthusiasts alike. Even mainstream vehicles, nearly all of Hyundai’s lineup, could use some spice. Mazda, for example, knows all about this. 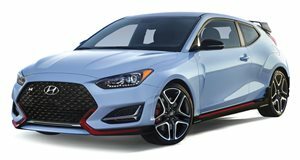 Biermann was previously responsible for Hyundai’s new N performance division, which includes the Veloster N and overseas-only i30 N hot hatch and hot fastback. 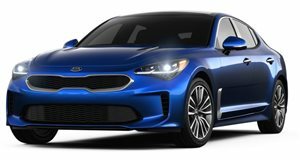 Sister brand Kia also benefited from Biermann’s magic touch with the Stinger GT. Now that Biermann is heading Hyundai’s entire global R&D, bringing in someone like Johnson was a must. A formal announcement from the automaker has yet to be made. Given Johnson’s past work at Ford and his expertise in making what is normally looked at as basic transportation into formidable performance vehicles, it’ll be very interesting to see what Hyundai (and Kia) will launch in the coming years. It is also fair to assume one of Johnson’s main tasks will be the integration of bigger and more powerful (not to mention heavier) batteries into vehicles. The days of straight-up combustion will soon be over as electrification’s role increases. Global emissions standards are forcing this to happen. But is there anyone that doesn't want a future hot hatch featuring an electric boost function? Didn’t think so. The Stinger surpasses expectations: it's time to start thinking of Kia in a completely new light. The Veloster N is a Trojan Horse that’ll bring the hot hatch hierarchy crumbling down.